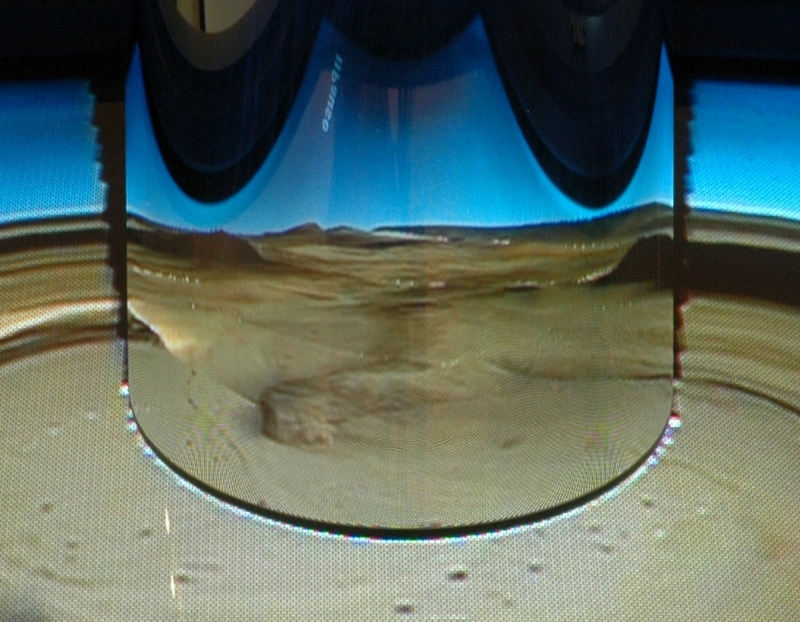 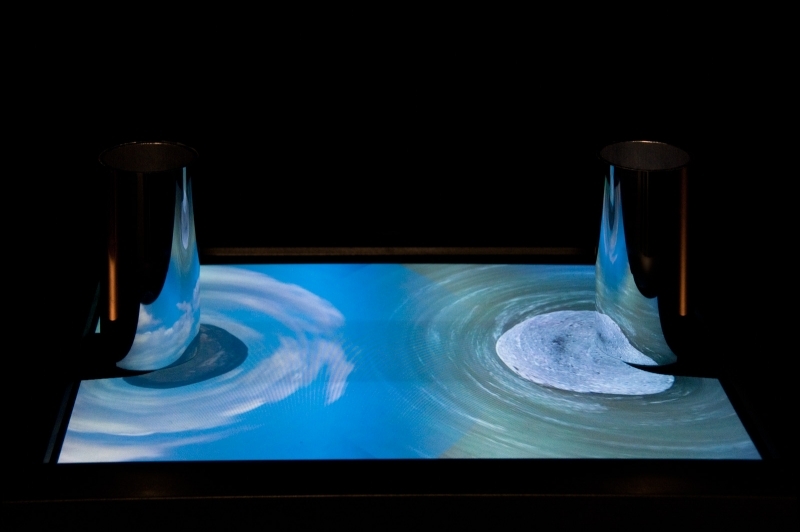 Jackson uses complex mathematical transformations to create anamorphic video, abstract swirls of imagery that become recognizable landscapes when seen in matching curved mirrors in such works as Orbis Obscurus, Strait and Rift/Strait. 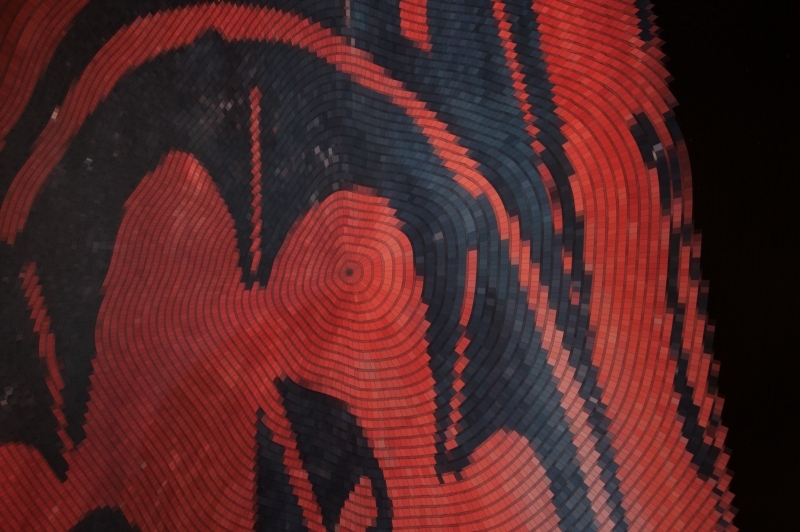 Such works invite viewers to interact by finding their way into the images and discovering the perceptual revelation. 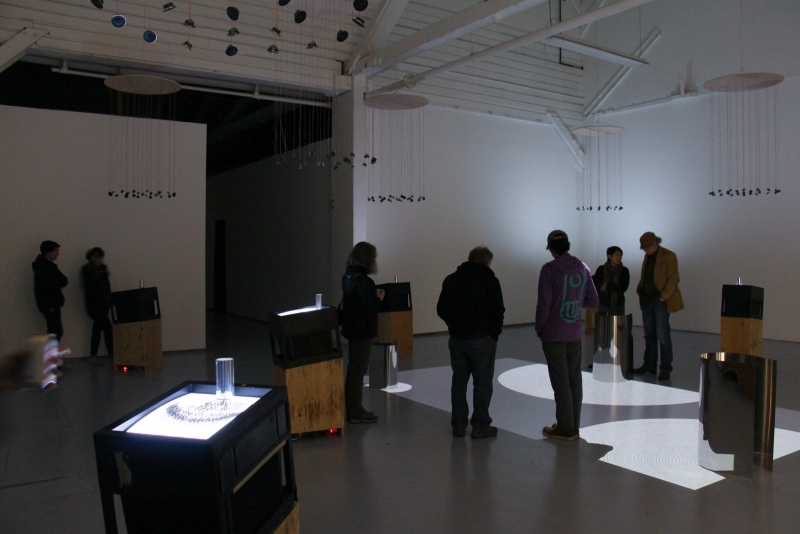 In Rift/Strait, viewers interact with the projection by walking into it, almost swimming in the gyrating pools. 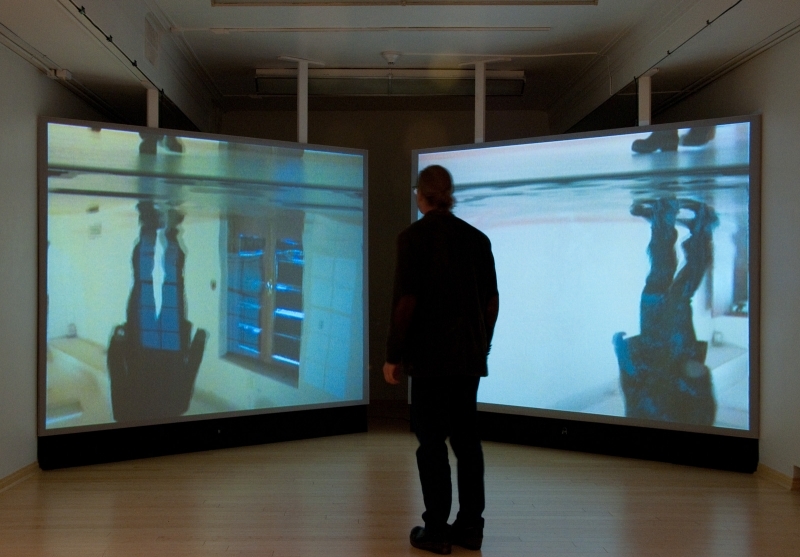 In projects like Rounds and Echo Pool, projected video or drawings are created or modified live in response to viewers’ presence and actions. 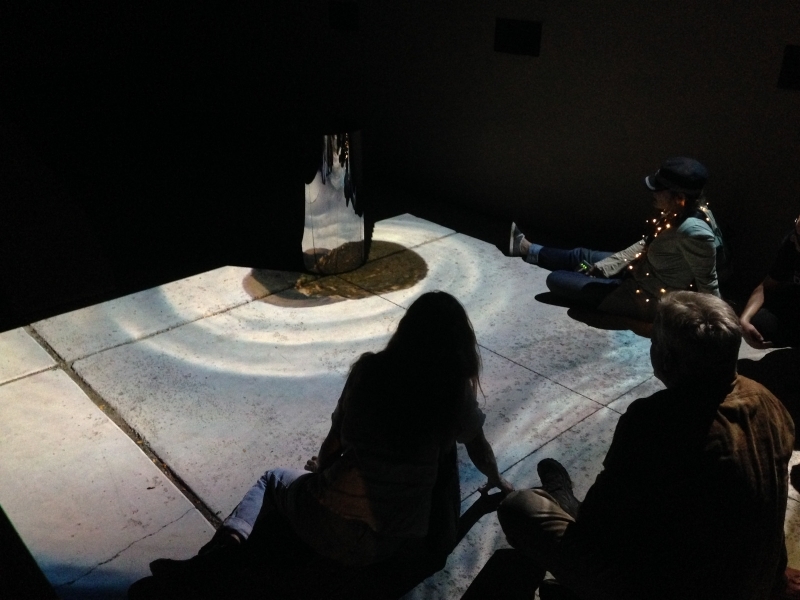 The projection-drawing and video in Rounds and the photographs in Gape use generative programming to create and modify images, giving them the look of organic forms like tree-rings or basket.